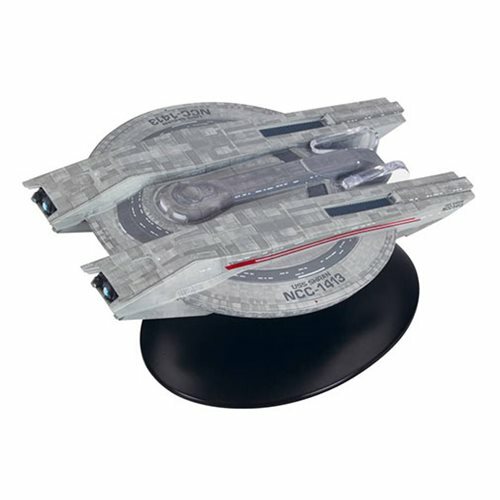 Discover this Star Trek: Discovery U.S.S. Shran NCC-1413 with Collector Magazine #11 inspired by the Star Trek: Discovery TV series. It may have been destroyed at the Battle at the Binary Stars, but it sure looks good here! In matching packaging, the ship comes with an informative magazine.